The National Clearinghouse on Autism Evidence and Practice (NCAEP) is conducting a systematic review of the current intervention literature targeting individuals on the autism spectrum. NCAEP is a continuation of the evidence review that was completed by the National Professional Development Center on Autism Spectrum Disorders (NPDC) which included research published through 2011. We will review research studies published in the last six years (2012-2017) which examine the impact of behavioral, educational, clinical and developmental practices and service models used with individuals on the autism spectrum from birth through age 21. 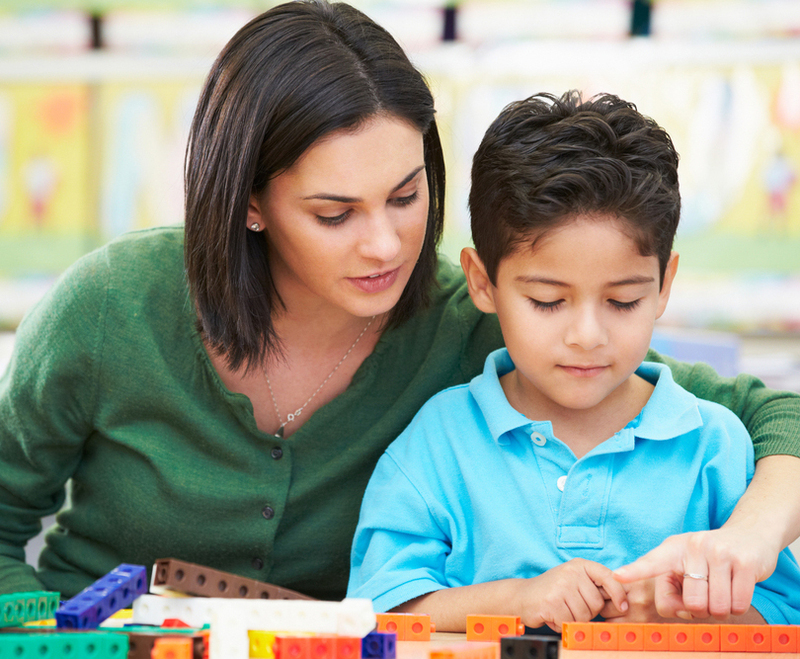 The Autism Focused Intervention Resources and Modules (AFIRM) are a free online tool designed to ensure that practitioners and families can USE these practices once they are identified through the review. An evidence-based practice is an instructional/intervention procedure or set of procedures for which researchers have provided an acceptable level of research that shows the practice produces positive outcomes for children, youth, and/or adults with ASD. The above definition refers to specific practices such as prompting, reinforcement, social stories, or visual supports. In the English language, we think of these as nouns. These practices would appear in the lower right circle of the figure below. "Evidence-based medicine (EBM) requires the integration of the best research evidence with our clinical expertise and our patient's unique values and circumstances." Individuals on the autism spectrum and their families. 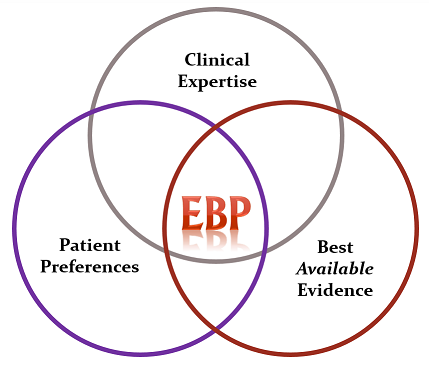 Identification of evidence-based practices (or EBPs) allows individuals and families to better advocate for the best possible support and education based on current research. Educators and practitioners in schools and the community. Identification of EBPs allows educators and practitioners to select the appropriate interventions based on the age, needs, and outcomes of those they serve. Identification of EBPs allows researchers to better understand and identify research gaps and plan for future studies. Advocacy groups and policy makers. Identification of EBPs allows advocates and policy makers to make informed decisions about practices and policies that will benefit individuals on the autism spectrum. Health care providers and insurance companies. Identification of EBPs allows health care providers and insurance companies to appropriately identify a range of EBPs that can be provided, funded, and/or reimbursed for individuals across the spectrum and their families. We are looking for reviewers to be part of the next influential report as a reviewer. If you have experience or knowledge about ASD, have taken research methodology or statistical courses, and have a masters or doctoral degree or are currently enrolled in a doctoral program, you can help! Please complete the application by clicking the button below. Our last review, completed in 2011, has had a meaningful and widespread impact in the field. The technical report, which names all the reviewers and can be found here, has been downloaded thousands of times, influenced health insurance policy, spurred the development of the AFIRM modules, and has supported thousands of practitioners and parents in their understanding and use of evidence-based practices. 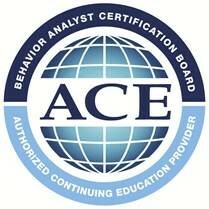 Reviewing articles for the National Clearinghouse on Autism Evidence and Practice has been approved as a continuing education activity by the Behavior Analyst Certification Board. Upon completion of the training and article reviews, BCBAs will earn 8 FREE CEs and a certificate of completion. Are you interested in being a reviewer for NCAEP or are you interested in updates about our progress and new resources? Your support of the Clearinghouse will ensure that we can sustain and expand this important work.